We all know what hackathons are about. But what if we don’t? 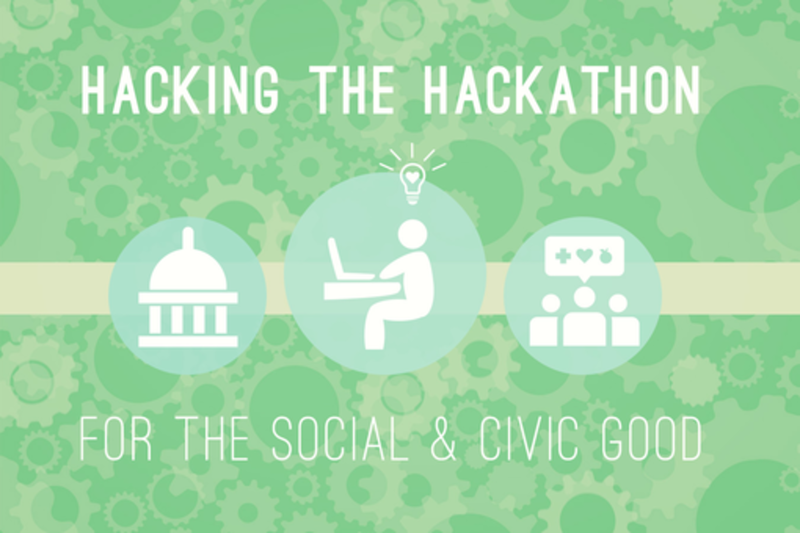 In the last two years, civic hackathons have been popping up across the US, breathing new life into what has traditionally been a commercial concept. These civic hackers focus not only on building new apps with open data, but also on expanding the ability of less technically-proficient users to interact with the data driving decisions in their communities. Now, this shift away from prize money all-nighters toward technological volunteerism has manifested as blended civic and social good hackathons with projects largely driven by activists and non-profit organizations in need of solutions, support, or expertise they do not have the resources to acquire on their own. By reimagining hackathons into platforms for social innovation you create the opportunity for digital creatives to come forward with their core talents and skill sets in order to address local issues through a focus on community-sourced solutions. Claire J. Dunn is a project manager at St. Edward’s University and serves as lead organizer for ATX Hack for Change. In both roles, she delights in creating connections and facilitating understanding between technologists and user communities. She has spent nearly 7 years working in higher ed and has previously worked for top universities in the US and UK. Claire is a proud member of the Austin hub of the Global Shapers Community, an initiative of the World Economic Forum, and is deeply engaged in the subject of civic hacking and how technology and innovation can influence government decisions and improve the social good. Claire holds a MA in Cultural and Creative Industries from King’s College London and would love to talk to you about her related research on the cultural literacy of teen television. She has also had written work appear on The Muse and Forbes.com. In her free time, Claire enjoys amateur mixology and making up nicknames for her dog, Penelope Pitstop.